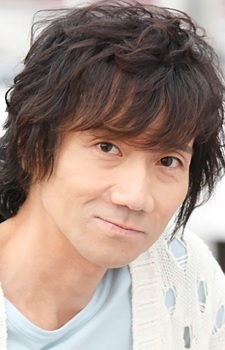 According to the Anime News Network, as of Spring 2007, Miki is the third most prolific seiyū behind Takehito Koyasu and Megumi Hayashibara with over 230 voice credits to his name. In addition, he is a singer of the popular four-man band of Weiss along with Takehito Koyasu, Tomokazu Seki and Hiro Yuuki, the four main seiyuu of Weiss Kreuz. Miki is also very active in BL dramas. He also drives in a replica Toyota AE86 from the main character (Takumi) of Initial D.
Miki-san never be involved in Ghibli's film work, especially in Directer Takahata's last work. So please fix this error quickly. Fujiwara Takumi aka Akina 86(Initial D First Stage up to Final Stage). Shima Tatsuya aka BlackBird (Wangan Midnight anime). Takumi Fujiwara's VA voiced Bruce Wayne and Sir Nighteye from Boku no Hero?! WTF? It's ten years to early for me to see this page. For some reason, I recognize his voice in gundam 00 but not other anime. Anyways, Lockon is simply the best! Whats not to like about him?